squatchster Mouth watering, eye bleeding, ear ringing sensations. Music so soothing it causes you to feel high. This is, absurdly, dangerously good rock music. In October of 2017, King Bee entered the Cro's Nest Studio in Purley, Croydon, to record their best EP yet. The result was 'All Seeing Eye'. All tracks were recorded live, with the exception of vocals and select guitar overdubs. 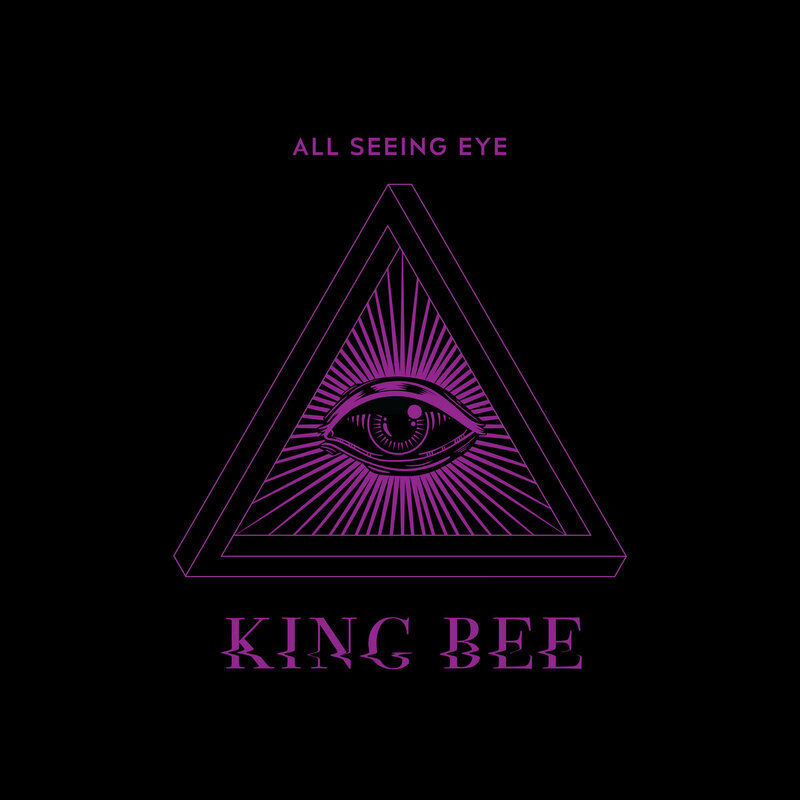 'All Seeing Eye' is a reflection of a two-piece gelled through years of rigorous performance and practice. No studio trickery or separation of performances: just two dudes playing their own brand of fuzzy riff-rock with surgical precision. 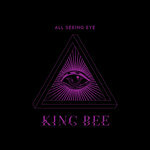 The overall sound of this albums eschews much of the breakneck stoner-rock that defined King Bee's earlier work; and in its place sits a mountain of somewhat slower paced sludge, with enough influence from alternative and classic rock to keep things approachable and interesting. The Sabbathian Sludgehammer of an opener 'Megamouth' begins the EP with a kick to the skull of humongous fuzz and epic drums that propels the song forward like a steamroller. Live favourite 'Sweat' crunches forward with an infectious and dancable groove, which gives way to a chorus built on frenzied screams, with guitar and drums that swing with the preciseness of a Newton's Cradle. 'All Seeing Eye', King Bee's most ambitious song yet, effortlessly oscillates between almost delicate guitar arpeggios and immense choruses, which builds into a befitting end for the record: A hulking riff and gargantuan finale that pitches down and deconstructs the song into one bone rattling, feedback addled drone. Gaze into the All Seeing Eye. Gaze and feel petrified.